Sand, sand, and more sand! And flipflops too. Flopeds – the most comfortable flip-flops ever! Flopeds - the most comfortable flip-flops ever! I love wearing flip-flops. They’re comfortable, easy to take on and off, and come in all sorts of colors. However, I find most flip-flops uncomfortable to wear for long periods of time because 1) the rubber is too hard so there’s almost zero cushioning, and 2) my feet have low arches so wearing something with zero arch support like flip-flops causes serious pain when worn for extended periods like when I’m commuting or working in the lab. I’ve considered using FitFlops but let’s face it – they’re freaking expensive at around PhP 5,000 and look tacky. 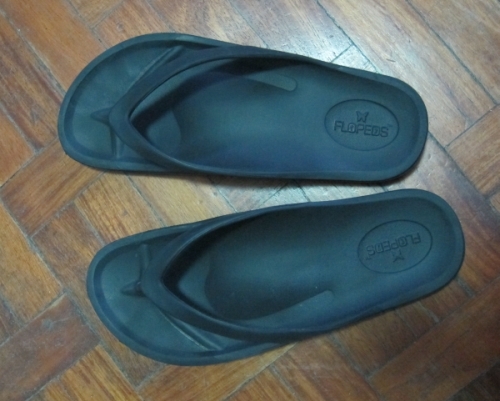 The savior of my feet came in the form of Flopeds – the anti-flat flip-flop! What’s so special about FLOPEDS ? Most foot conditions are caused by improper or badly fitting footwear.Wearing good supportive footwear, is a great way to look after our feet and using a sandal or flip flop when we are out of our shoes, that provides the right support and control is equally important. FLOPEDS, are designed to keep your feet supported and aligned. They also have build in supports around the arch and forefoot area, that follow the natural contours of the foot. These make them an extremely comfortable flip flop to wear for extended use. The attractive range of colors makes this flip flop the choice of all ages and genders, and they can be worn around the house, or outdoors, by the pool or on the beach. I’ve been wearing my Flopeds for several months now and I LOVE THEM SO MUCH. Yes, that had to be in all-caps. The solid foam arch support is a dream come true for me -they provide just the right amount of support and the foam is solid yet yielding so there’s no pressure while walking. I’ve worn them from Paranaque to Quezon City and back and experienced almost no pain (only when people on the MRT stepped on my feet). I got them in black so they go with almost everything. I’d been meaning to buy a new point-and-shoot camera for the longest time. Nothing against my 4-year-old Canon 400D DSLR – it’s a great camera that’s gifted me with some of my favorite photos – but there are times when I need/want a camera that fits into my pocket. 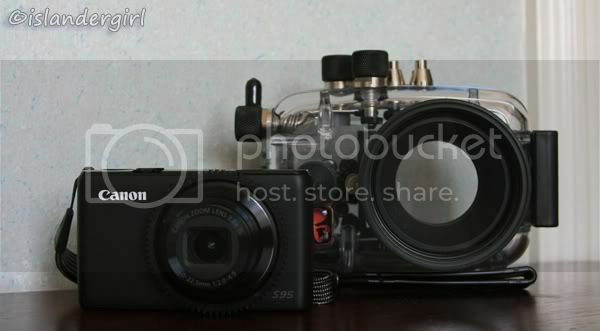 Then there’s the fact that I want to be able to bring a camera underwater and an underwater housing and strobes for a DSLR will set me back P500k. I finally bit the bullet last February and bought a Canon S95 camera and an Ikelite underwater housing and haven’t regretted it since. The reading experience is just superb. With the E-Ink screen, it really feels like you’re reading off of a paper book. No eyestrain here! The “page refresh” feature (what happens when you load the next page) was almost seamless, though repeated use – when I was viewing a website, for example – made my head hurt. This is probably the most time-consuming and annoying part of owning a Kindle. To organize your books into “collections” (basically subfolders), you have to manually choose each book that you want to include in the collection. Since you have to use the 4-way button and the Kindle’s refresh rate is good but not blazing fast, the process gets really tedious, really fast. Here’s hoping that Amazon comes up with program that will let you organize books while the Kindle is connected to your computer. 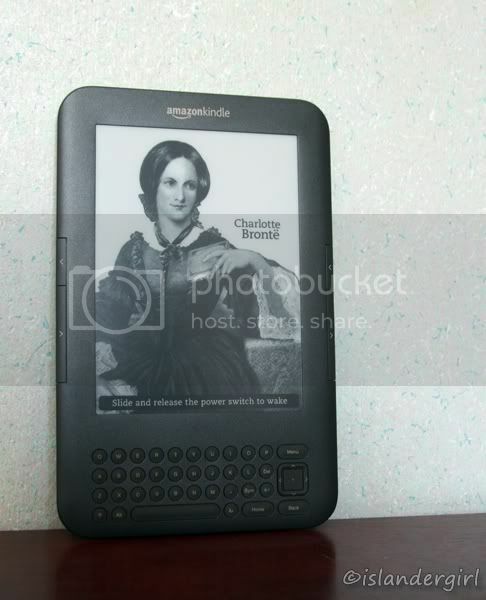 If you’re getting a Kindle primarily to use as a PDF reader, consider getting the larger Kindle DX instead. Since you’re going to see the PDF’s pages exactly how they’re formatted, you either 1) have to fit the entire page onto the 6 ” reading area (tolerable if the PDF’s type is large to begin with), or 2) refresh the page every so often. It shouldn’t be greasy or leave a greasy feeling on my skin. It should provide excellent protection and the sun. It shouldn’t have a strong smell. I’ve tried several brands over the years with varying results. Hawaiian Tropic never even touched my skin because I found the smell so disagreeable. Banana Boat was too greasy. Until recently, Coppertone Sport (SPF 30) was my sunblock of choice for years because it met criteria #1 and 3, and moderately met #2. Coppertone Sport was it, until I discovered VMV Hypoallergenics Armada Sport 70. This sunblock is just awesome. Firstly, it’s hypoallergenic and non-comedogenic so no nasty redness or breakouts for me. Second, the formula is very light and non-greasy. My skin had a matte feel even immediately after application. And don’t let the name discourage you: even though it’s tagged as a “sport sunblock” with SPF 70 to boot, it’s light enough to be worn underneath makeup. And finally: no smell! You can apply this on your face and not have to put up with the overpowering scent of other sunblock formulas. The only thing I don’t like about this product is its hefty price tag: the 185 ml tube in the picture cost almost P2,000. 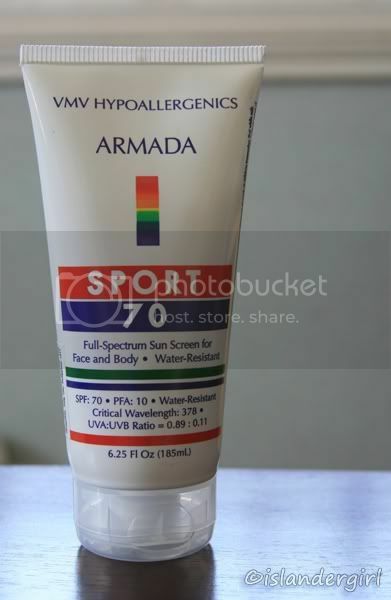 But if you’re out in the sun often and have particular needs, this sunblock is definitely worth it. When I bought my first (and so far, only) digital SLR, the bundle offered included a fully-padded and compartmentalized backpack that could carry the body with a 70-200mm lens attached, at least four other lenses, a flash unit, and all the other accessories you could think of. Besides being too huge for someone who’s just starting out, it none-too-subtly had the camera’s brand emblazoned all over the bag. Not really something you’d want to use if you want to keep a low profile. The solution? 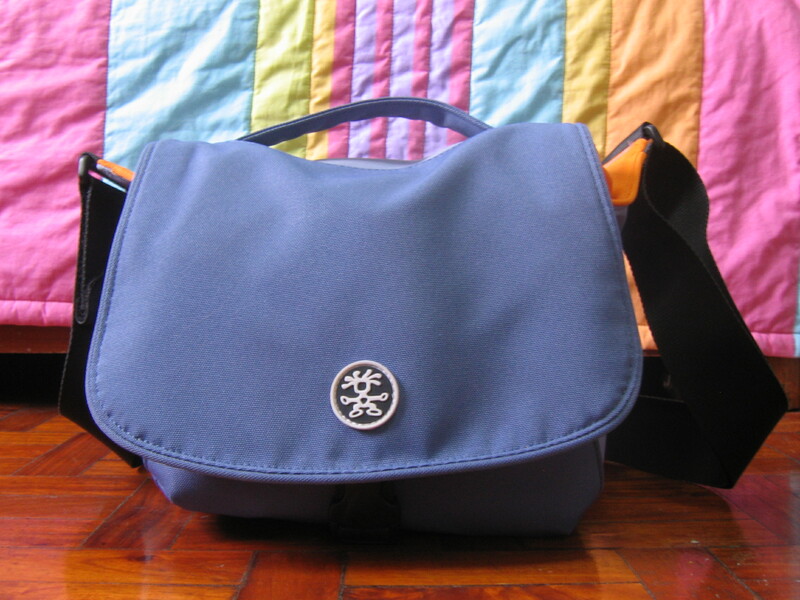 A Crumpler “5 Million Dollar Home” camera bag.